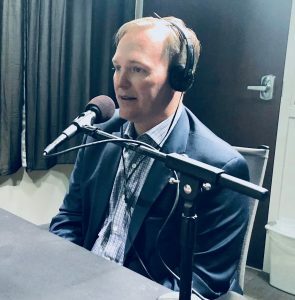 Salt Lake County Mayor Ben McAdams is our guest on this weeks show. Ben is running for congress against Mia Love. Ben and Bill discuss why he decided to run, along with healthcare, guns, and his accomplishments as Mayor of Salt Lake County. This entry was posted in Podcast Episodes and tagged Ben McAdams, Mia Love, Politics, Salt Lake City, Salt Lake County. Bookmark the permalink.